The writer of 'Mockingbird,' Chelsea Cain, has been chased off Twitter by anti-feminist trolls. Riri Williams created an earthquake in the comics scene. Now, thanks to Mockingbird’s cancellation — marking the end of Marvel’s first earnest attempt at writing a polyamorous superhero — that earthquake has erupted into a series of aftershocks. Fans and creators are livid about which female heroes are feminists, if any, and no one is safe. The hate mail Cain is describing came, for the most part, in response to the cover on Mockingbird #8 which was published on October 19. 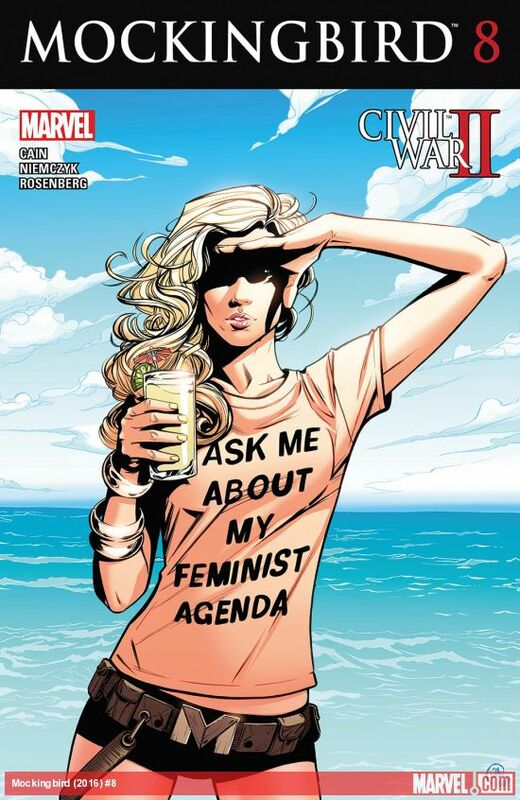 On the cover, Mockingbird is pictured wearing a T-shirt which reads, “ASK ME ABOUT MY FEMINIST AGENDA.” It should be noted that hours after reaching out to the comics industry about being harassed online, Cain deleted her Twitter account. What’s notable about the cover of Cain’s comic is the fact that it merely confirms what was already blatantly obvious: Mockingbird is a feminist and is outspoken about her political beliefs enough to wear a T-shirt advertising them. 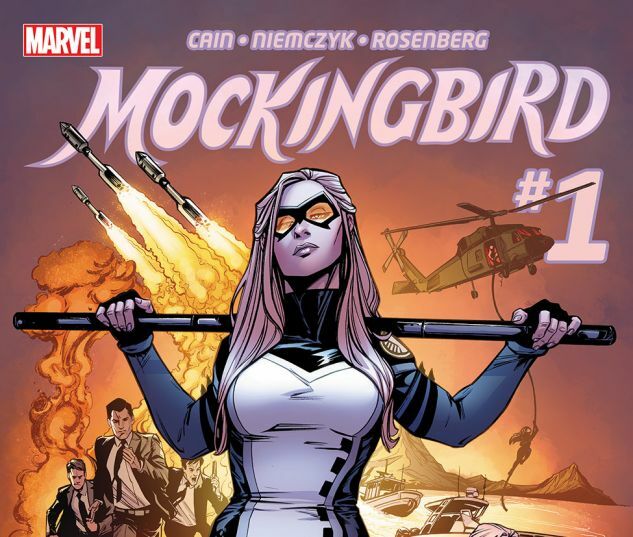 As Andrew Wheeler deftly points out, Mockingbird is far from Marvel’s first feminist hero. In fact, the only surface-level criticism fired at comic book series like Mockingbird are the arguments based around Issue 8’s cover. Mockingbird has been a feminist since Issue 1, obviously, and she arguably was in prior series. To say the word “feminist” has been plastered onto her cover haphazardly isn’t just incendiary: It’s downright stupid. It’s just that a cover makes the subject obvious to anti-feminists who don’t even reads comics in the first place: The timing of the outrage proves that. Chelsea Cain's tweet is pictured here, because the author has since deleted her Twitter account. Bendis didn’t go on to confirm exactly what he meant, but the argument he (assumedly) poses is interesting. If Cain, previously a novelist and now a first-time comics writer, experienced more backlash for her political beliefs among comics readers (though it’s not likely her opponents actually read any of Mockingbird), does that mean the comics industry is to blame? If Bendis, who has surely experienced some blowback on his female characters, means that the comics themselves aren’t inspiring fan backlash, then what exactly is the root of the problem? Perhaps it’s the fiery, amplified reactions Marvel has been getting to cover art — and in some cases, not even the canonized cover art, but variant covers, which are doled out to guest artists to create collector’s items! The superhero movie and toy craze has thrust a previously independent market — comic books — into the limelight to the extent that mainstream publications now cover Marvel and DC’s comic universes. Authors like Cain are being introduced to the comic book medium because of its growing popularity, but the reactions of those who politicize comics without actually reading them (this includes journalists and fans of certain iterations of superheroes) are so deafening that it threatens to chase creators back into novels and classic print fiction. As Marvel has seen on titles like Ta-Nehisi Coates and Roxane Gay’s Black Panther and World of Wakanda, making an organic connection between existing titles and non-comics authors whose sensibilities fit can create quality, marketable comic texts.